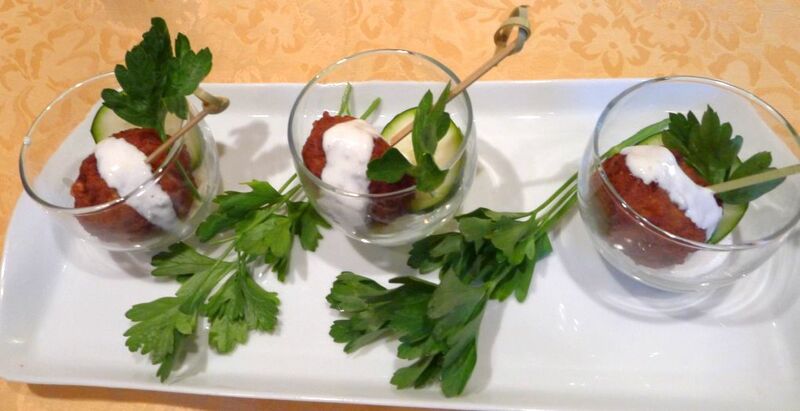 This Mediterranean-inspired chicken meatballs in skewers is delicious! 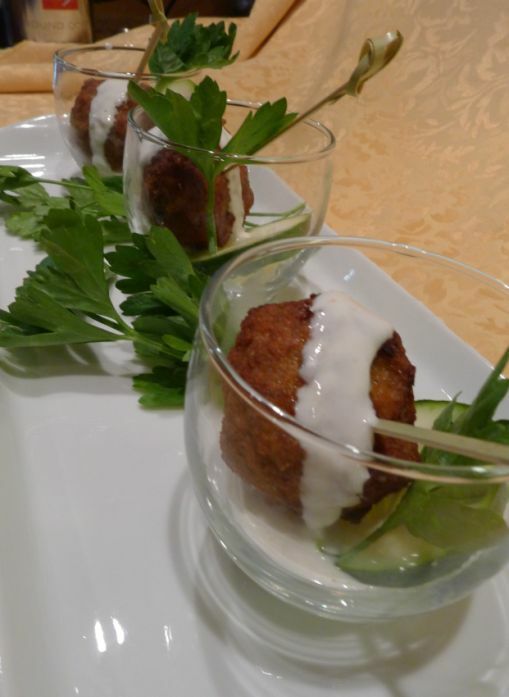 The combination of spiced meatballs and yogurt sauce is reminiscent of great street food! I see myself walking the street and snacking on this chicken skewers for a quick afternoon snack. Very simple dish but yet so flavorful because the recipe call for dark chicken meat so it is very moist and I also enjoyed the combination of lemon zest, a hint of cumin, fennel seed, coriander seed and cayenne pepper mixed in together to create a winning combination. 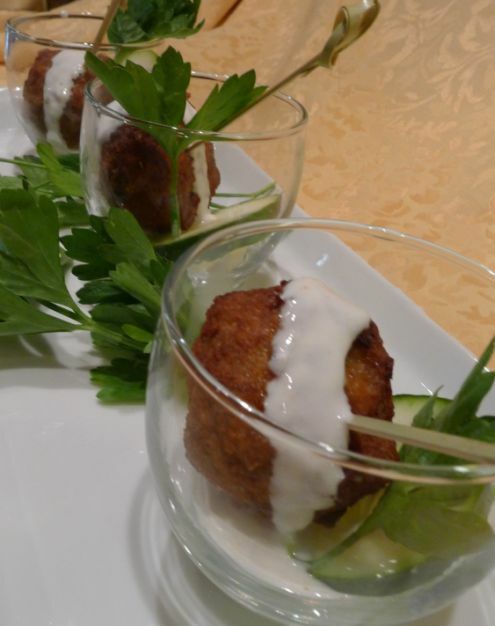 The yogurt dipping sauce is cool and refreshing while the chicken meatball is crunchy, moist, and very flavorful. 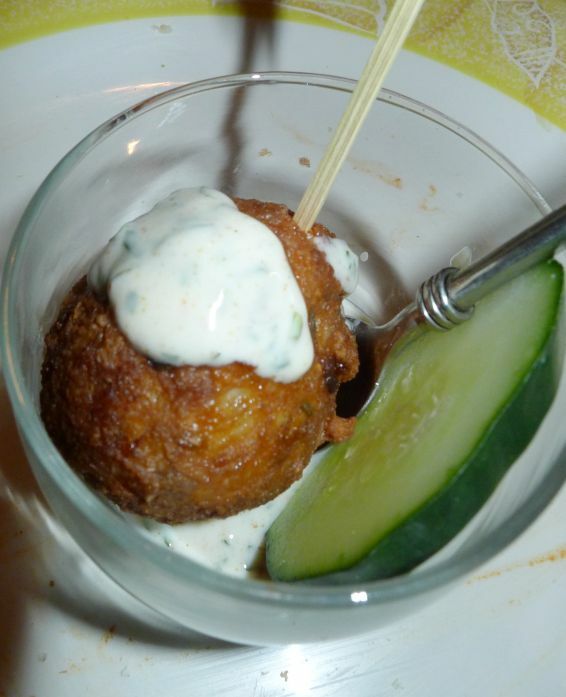 I served this dish during on of my dinner party and it was a hit! The marinate is different so it is a nice change. 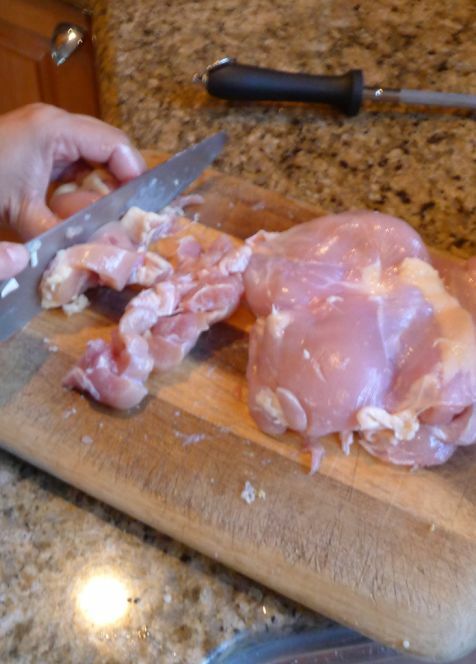 Cut the chicken meat into small cubes and put the meat in a large bowl. If you have powder coriander and powder cumin that use it if not use a spice grinder to grind the cumin, coriander and fennel seed. 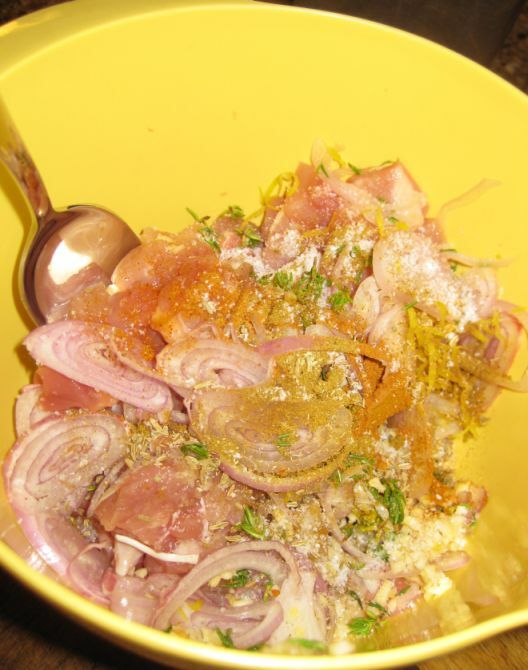 slice the shallots, chopped the garlic and thyme and zest the lemon. 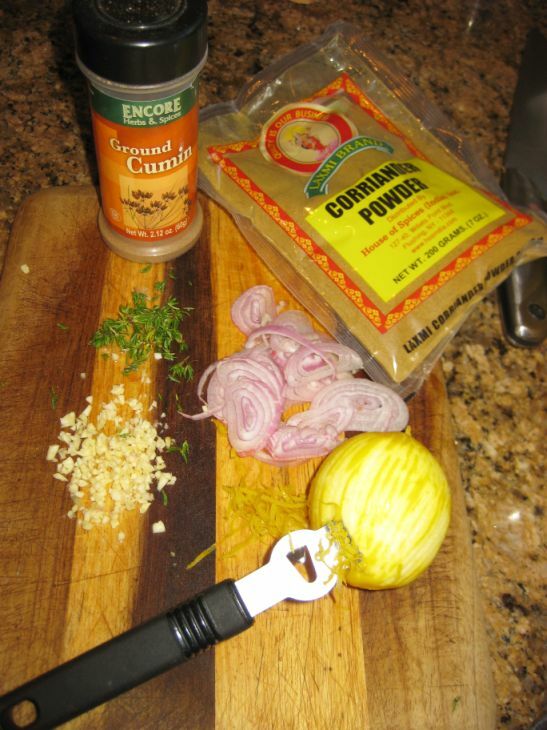 Combine the chicken meat with the shallot, garlic, thyme, cayenne pepper, salt, and the grounded spices. Stir until loosely combined. Cover and refrigerate for at least 4 hours or overnight. 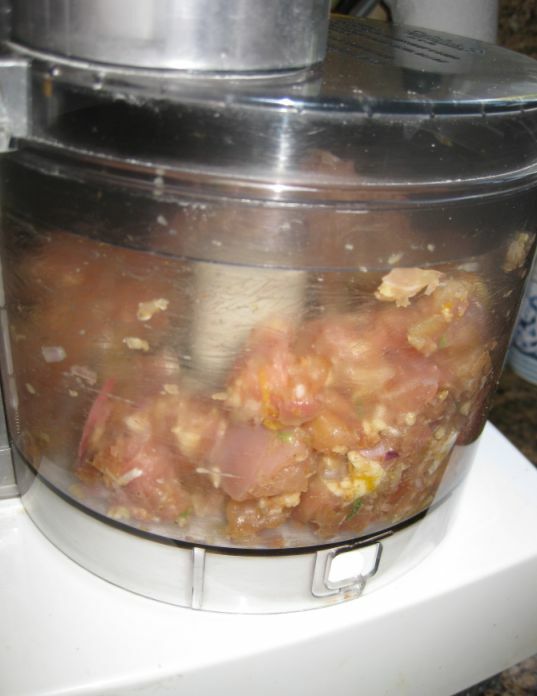 The next day, in a food processor, process until the meat is coarsely ground. 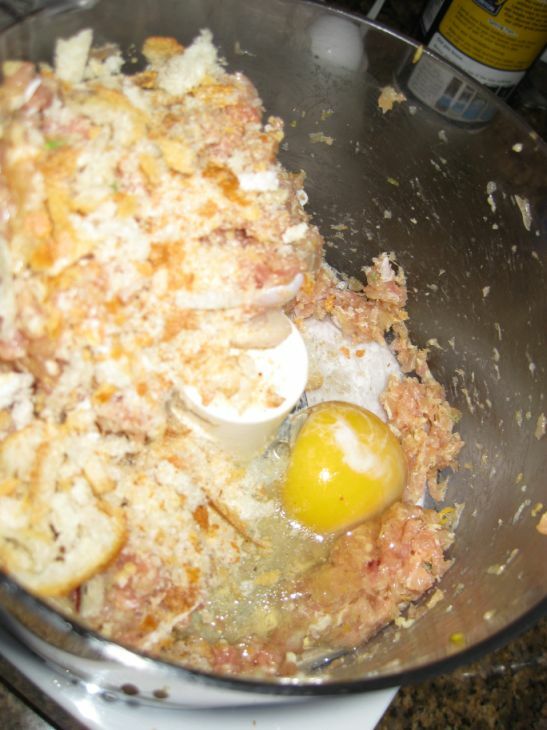 Add the egg and bread crumb and proceed until well combined. Don't over process. Divide the mixture into 6 to 8 equal portions. 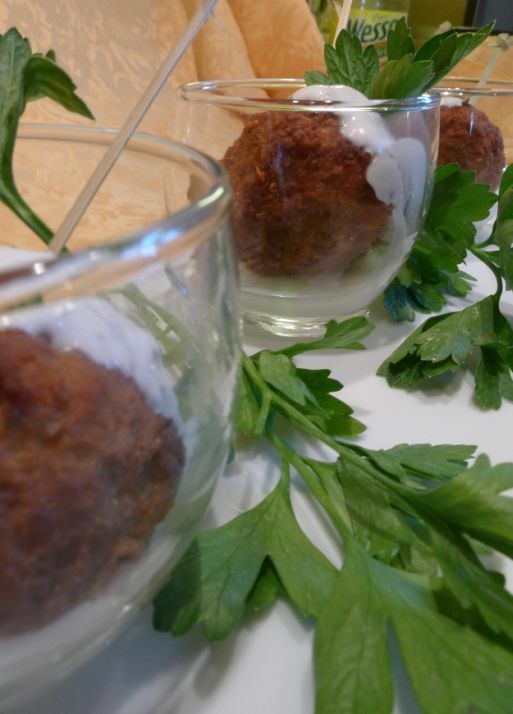 Using your hands to form each portion into a circular shaped meatball. 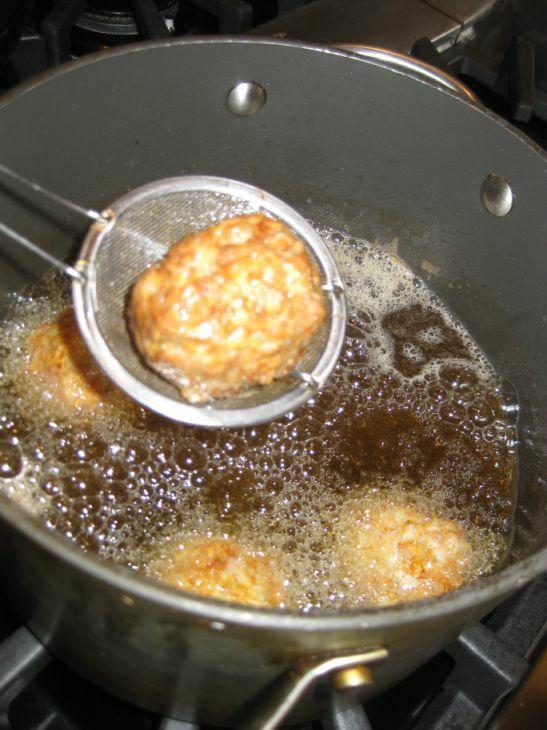 In large frying pan, heat up the oil and fry the meatballs until they are golden brown. 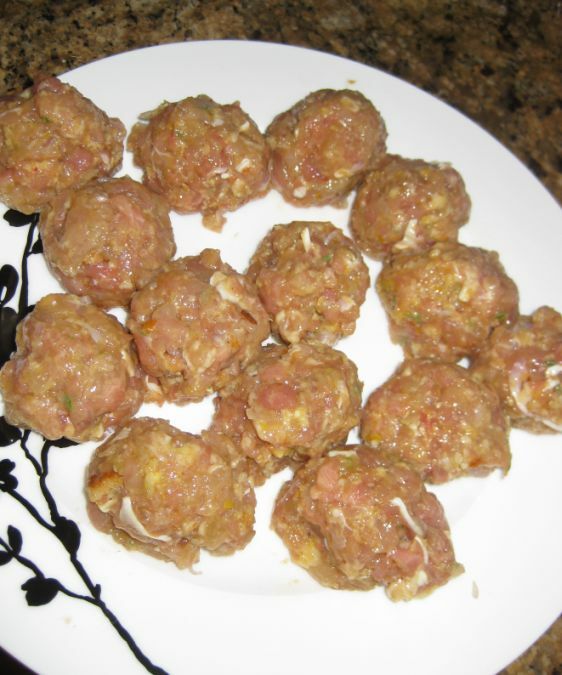 Remove the meatballs and lay them on top of paper towel so that the extra oil is absorbed. 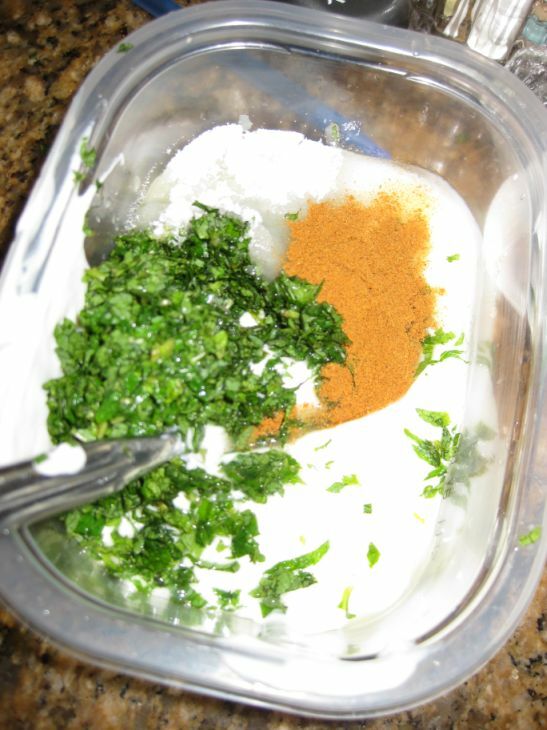 Prepare the yogurt dipping sauce by mixing the yogurt, mint leaves, sugar, and lemon juice. Adjust accordingly to your taste.